My clients have been living in their home for 12 years, and were tired of their builder-standard cabinets. 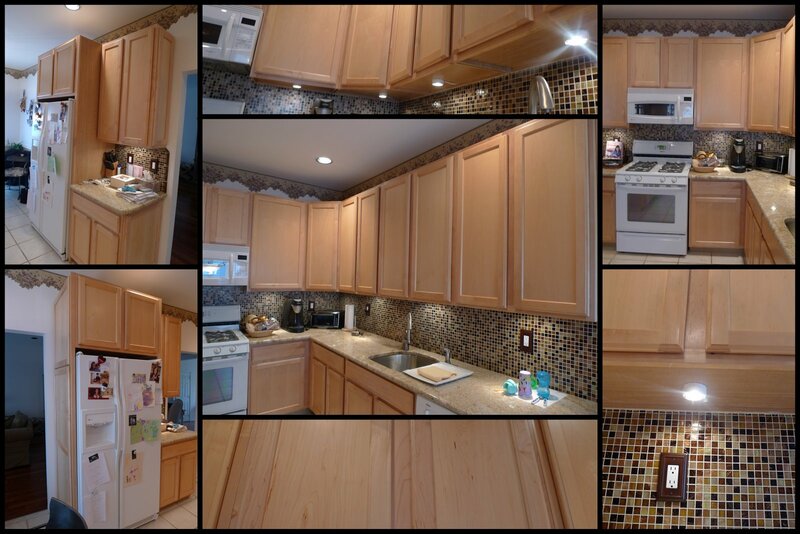 They wanted to spruce up the look of their kitchen, without spending a ton of money. Here's a collage of pictures, showing what they looked like before. Augghhh!!! Don't leave us hanging! Show the AFTER!!! LOL! The suspense is over. I just posted "After" pictures.